Actually we have been growing for over 2 years. It’s just now our stem is poking through the soil and branches are quickly forming. This week was pretty significant but we’re too busy to really sit back and celebrate with a bottle of Cava. 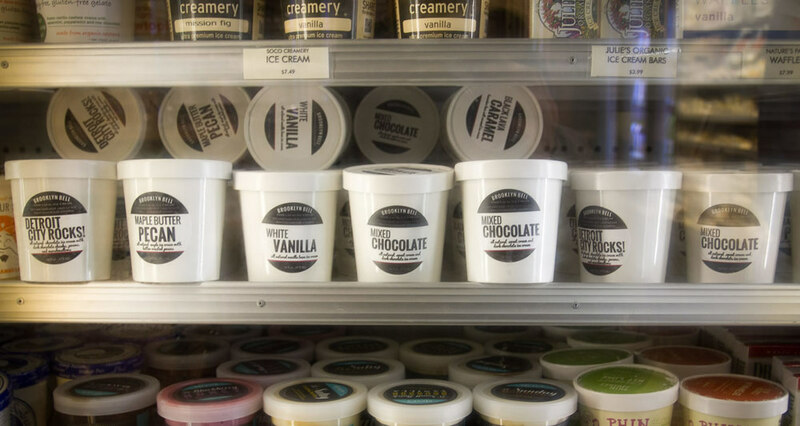 We are excited that both our products, Brooklyn Bell ice cream and Good Bars have crossed the East River. That’s right Brooklyn Bell is representing in money making Manhattan. Grab a pint and some bars at Foragers Chelsea. Back in Brooklyn, permits have been issued and we have officially broken ground or at least the linoleum flooring at our future ice cream scoop shop in Crown Heights! It’s been an incredible amount of work and so it is for the life of an entrepreneur. We are truly blessed to have the opportunity to grow and look forward to sharing our honest simple foods with our neighborhood and city. We’ll keep you posted on what’s next.